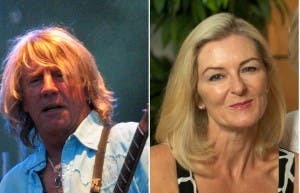 ROCKER Rick Parfitt froze his wife out of his will just five days before he died. The Status Quo singer, who once claimed he spent more than €1,000 a week on cocaine, is said to have left wife Lyndsey with nothing despite her overseeing his care in his final months. According to expat Lyndsey the pair had fallen out over the Marbella-based singer apparently rekindling his relationship with ex-wife Patty. Speaking for the first time since his death, she revealed how she was dumped over the phone in October, after she had found emails between the pair, which showed intimacy. Although they had been living separately, they ate breakfast together every morning and had planned to spend Christmas as a family. 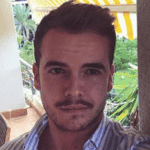 “We were not estranged at the time he died, but had talked about getting back together. 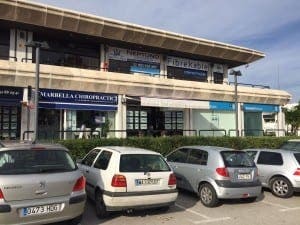 The pair’s Costa del Sol real estate company Status Homes, based in Guadalmina, has now reopened after briefly closing following the singer’s death in December. Parfitt died at 68 in Marbella after suffering a severe infection he is said to have caught while in hospital. If the will is heard under UK jurisdiction, spouses are still entitled to be provided for. Since there are children involved, even more so. Hiring a lawyer is step one, before telling the news. Perhaps there needs to be a new law where unless exceptional circumstances exist wills can’t be changed until at least one year has passed since making them. May stop crack addled rockers or spiteful people cutting caring relatives or spouses out of their will at the last minute. I’m sure she’s got the basic intelligence to challenge this spurious nonsense will. As his legal wife and that is they are not divorced whether separated or not – she’s entitled to reasonable provision. Stupid and naive to cut her out altogether as her expenses may well come from the estate eventually. This could lead to the entire estate being eaten up by legal costs. It’s happened before. Mr Gee, not quite sure why you should make such a statement. For a start she or anyone has no “right” to dictate what is in a will but has the “right” to contest a will and no doubt she will receive something. The loser in this case I feel, is Pariff for not providing for his children and the well being of his legal wife who will for countless years be providing for their well being. As Fred stated her first action would have been hiring a good lawyer and perhaps earned a few bob more by selling her story after a settlement. Like it or not in most if not all mainland countries ‘reserved heirs’ get preferential treatment as a right. That is spouse, siblings, children and step children. In France you can make an English will or a French one, I don’t know what the inheritance law is in Spain, does anyone know for sure and I don’t mean the usual English ‘opinion’ masquerading as fact. 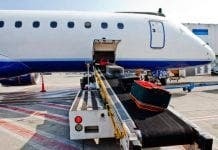 Perhaps the OP could make an interesting article on this subject? Your will can be according to your citizenship law, or according to Spanish law. If there is no will on file, then it will automatically follow Spanish law. The will must be filed with the correct CA level entity. We made a US will in August. You need a very good attorney and a very good notary both with international experience who speak your native language. The will must be translated as well to demonstrate that you have understood its terms. I don’t recall what the CA level entity into which the copy is entered. The copy is deposited so the upon the owner’s death,or the disappearance of the attorney, the willed properties do not get caught up in Spanish probate wrangling. There are VERY specific procedures to do this correctly. We paid the notary €107 and the lawyer €850. But make certain that the attorney and notary both have actual, concrete experience with English language documents and laws of your country. In our case the attorney was present at the notary session and inspected the text line by line in both English and Spanish. Both were well-experienced, having practiced in USA, UK and Spain. Much luckier in France you can make a ‘testament olographe’ hand written in either French or English (for English speakers), there is no need for it to be witnessed but it must clearly state who you are. where you reside at the time of making the will and the precise date, no ambiguity anywhere in the will, means no problems. 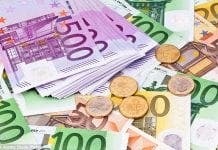 If you leave bequests to those who are not reserved heirs the French State will gouge huge amounts from it. I have a cousin and his daughter who I would like to leave the house to, the amount of tax they would have to pay would make them sick – so it goes. I/we are lucky, we have no reserved heirs, so no complications. As Chas said make damn sure that any notary you use understands clearly what you intend. With a testament olographe, there are no greedy legal parasites involved, this we like very much. I don’t know if this applies in Spain but if the one who pops their clogs first has time, they can transfer most if not all of their money into an existing joint account. A notaire will still have to do the paperwork but the percentage he/she can charge will be little if assets are held in a joint account – just a thought. Best seems to put it all in a living trust registered in USA. I know nothing about UK. The will in Spain instructs that the terms of the US Trust shall apply.